What Is a Tear Stain? Teething can cause tear stains to form. 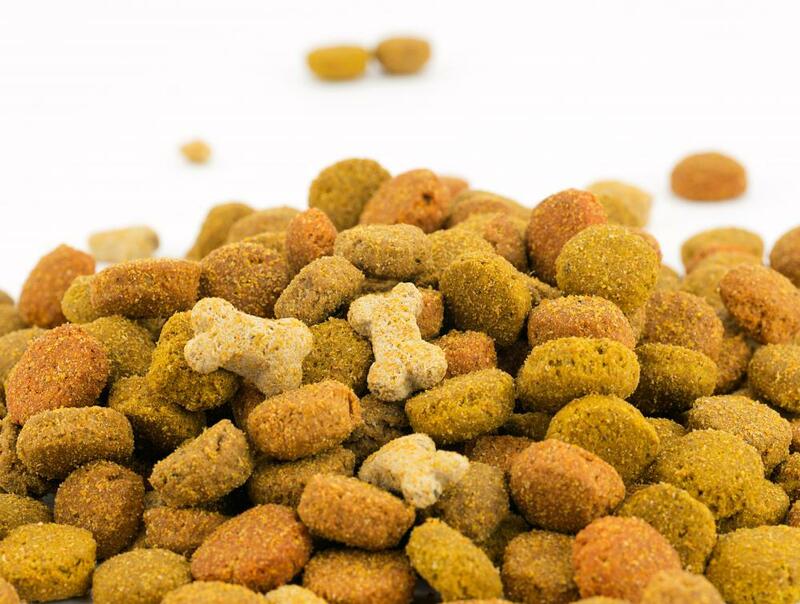 Some dog owners believe additives in dog food can cause staining. Epiphora is most commonly seen in dogs. A tear stain in animals is a dark discoloration of the fur around the eyes, especially the inner corners, resulting from excess tearing in the animal. Caused by a condition called epiphora, many dogs and some cats develop tear stains at some point in their lives. They are most visible on animals with light-colored fur and may be accompanied by a bad odor. There are many known causes for the condition, including infections and clogged tear ducts. Epiphora is characterized by excess tearing. Tear stains are particularly visible on pets that have light-colored coats, though they also can be seen on darker-furred animals. On dark-furred dogs and cats on which the stains aren't obvious, matted fur around the eyes may be the only indication of tearing. The stains also can be more obvious on dogs that have a lot of wrinkles. A tear stain can be caused by a number of things. Tear ducts that are clogged, shallow or deformed can lead to staining and may run in families. Genetic defects explain why some breeds are more susceptible and why certain dogs and cats in those breeds are more likely to develop the condition. A genetic defect may be correctable with surgery if other options do not work. Hair around the eyes can cause the eyes to dry out, leading to inflammation. Infection also is possible. Both infections and inflammation can trigger excessive tearing. Allergies, irritants such as dust or perfumes, and teething also can cause a tear stain to form. 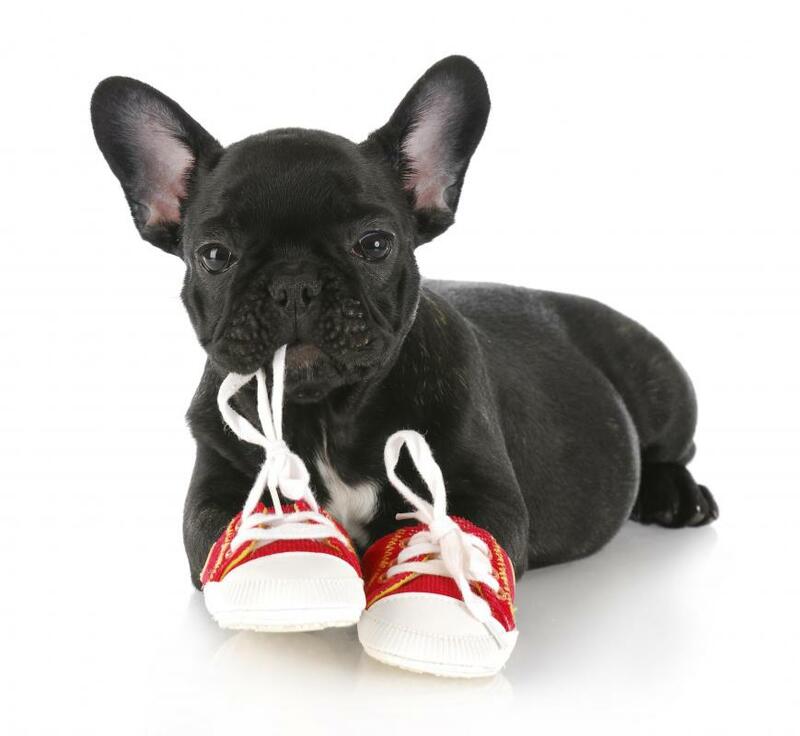 Medications can usually help in the case of allergies, infection or inflammation, but puppies and kittens will simply outgrow teething, making medicine unnecessary. A poor diet also may be a cause of epiphora. Some pet owners believe minerals in tap water and certain additives in food can cause staining. The discoloration can be a sign that the body is ridding itself of toxins, so some pet owners consider a tear stain to be a sign that the pet's diet needs to be changed to something healthier. These owners feel a healthier diet is better for the pet's overall health and also may help protect dogs and cats from underlying health concerns that are not as obvious as a tear stain. 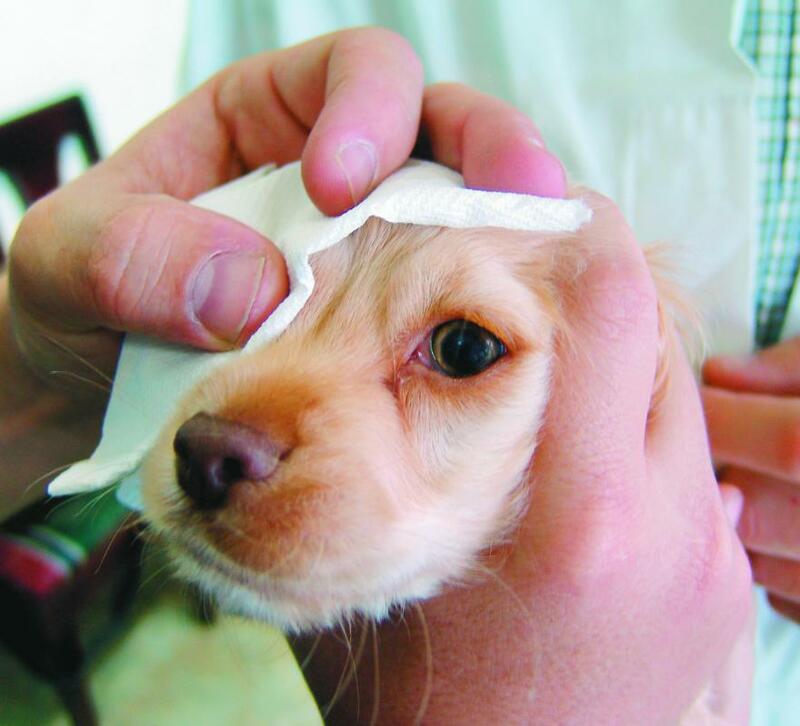 A tear stain is irritating to both the owner and the pet. The wet fur can be uncomfortable for the animal and also can be an ideal place for bacteria and yeast to breed. The reddish-brown stains commonly seen with epiphora are caused by red yeast, which also can cause a bad smell to develop. Bacteria that move from the stain to the eye can cause infections that need veterinary care to control. How Do I Remove Maltese Tear Stains? What Are the Best Tips for Grooming a Maltese? What Are the Different Types of Eye Drops for Dogs? What are the Different Uses of Cyclosporine&Reg; for Dogs?